You want to read the some of the documents relating to the creation of this project? 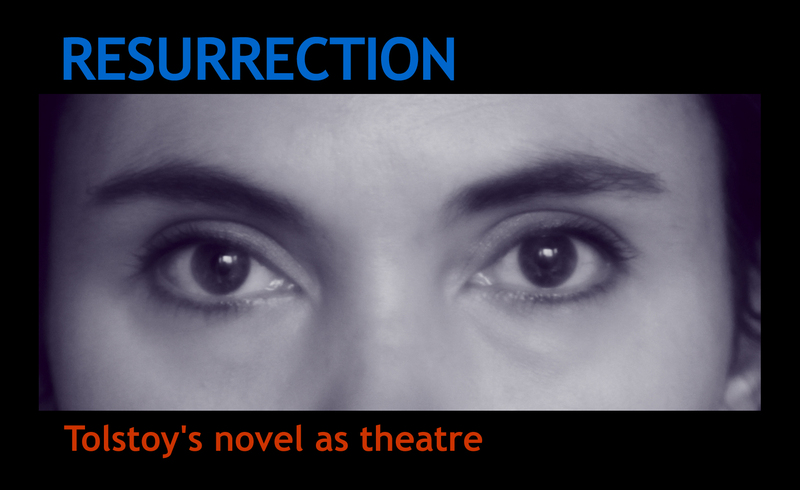 This extraordinary play about the Falangist/Luftwaffe bombing of the ancient Basque town during the Spanish Civil War, including its haunting images of Picasso’s painting and its tragic comic dialogue between a man and his wife who is stuck on the toilet during the bombing raid, was first produced in 1961. 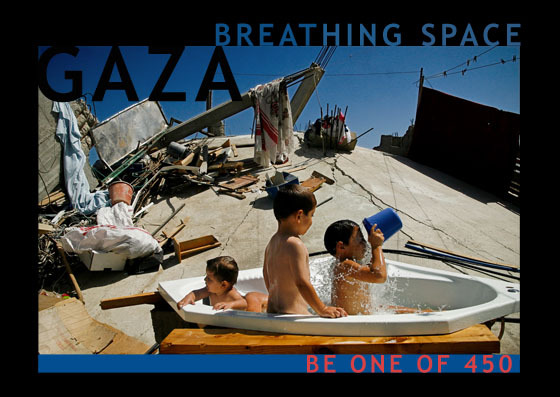 GAZA: Breathing Space is Az Theatre’s next collaboration for the Gaza Drama Long Term project and it will take place during the Autumn of 2010. Az Theatre’s ten-year project Gaza Drama aims to improve the lives of young people in Gaza and develop an international dialogue about the use of theatre and the impact of violence on future generations. As one of 450, you will contribute to a drama therapy programme in Gaza being carried out by a small theatre company ‘Theatre for Everybody’ in conjunction with community mental health organisations in Gaza. This programme will last 8 weeks and will allow 40 young people to work through the suffering of their daily lives through theatre. On Saturday 30th October 2010 we presented an event at Soho Theatre, London focused on the Gaza: Breathing Space project. 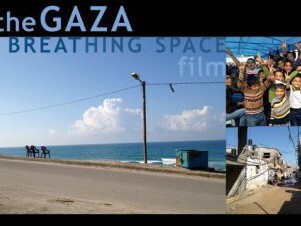 In November 2011 Jonathan Chadwick visited Gaza and this is the film he shot about life in Gaza at that time and the impact of the Gaza: Breathing Space project. Why not buy a ticket for a show you will never see? Pay us what you would for a theatre ticket £5? £20? £45? and for eight weeks 20 young people in Gaza, deaf and hearing working together, will have a drama experience of a lifetime! 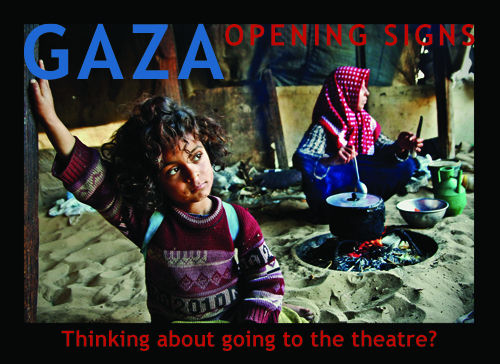 The GAZA OPENING SIGNS project is a programme of training and drama workshops for deaf and hearing children in Gaza run by Theatre for Everybody. They are training in signing and will train a deaf drama workshop facilitator especially for this work. The workshop programme will start in September 2012. We created an exchange programme between the young people in Gaza and students at a College Park School in Westminster, London. We launched this project at an event on Sunday 14th September 2014 at Rich Mix, Shoreditch, London. We ran another event on Sunday 18th January 2015 at Rich Mix, Shoreditch, London where we made a public reading of Jonathan Chadwick’s stage adaptation of RESURRECTION by Tolstoy and held a conversation via skype with Hossam Madhoun and Jamal Al Rozzi in Gaza. 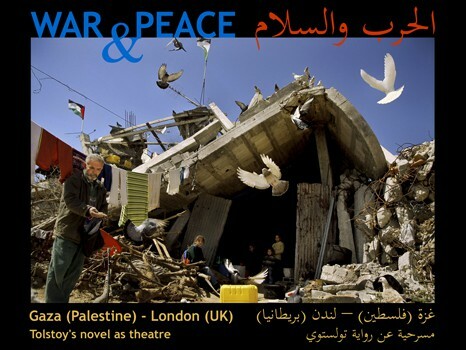 On 9th May 2015 Theatre for Everybody presented their workshop version of Tolstoy’s War & Peace at the Al Meshal Cultural Centre in Gaza City. On Sunday 13th September 2015 Theatre for Everybody made another presentation of the workshop version of War and Peace at the same venue. 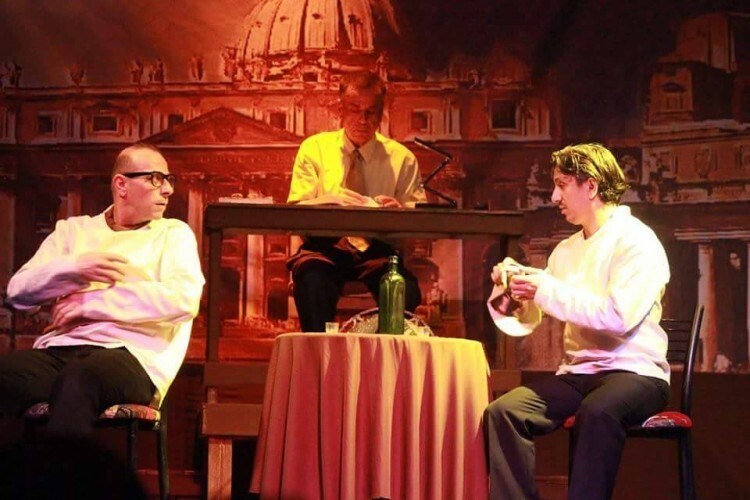 This time the creative team of ten people had an audience of 190 people. 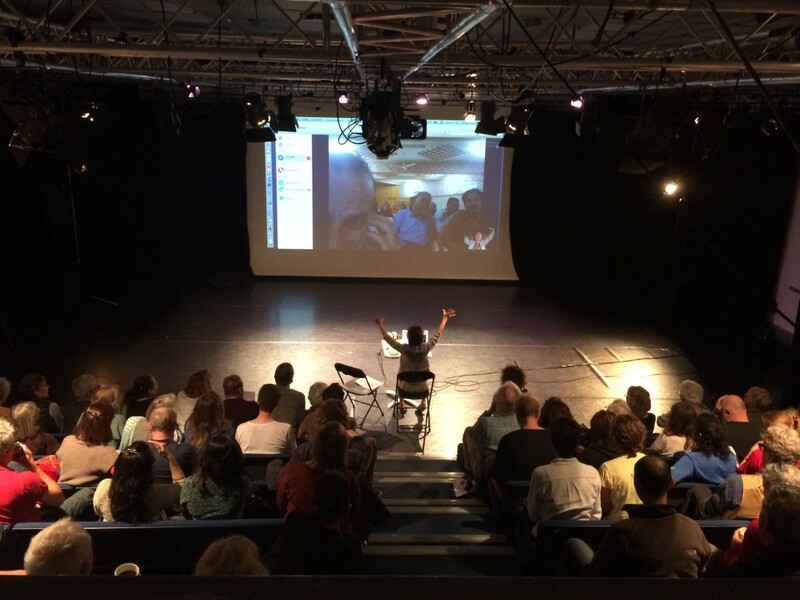 At the same time in London an audience of 90 people watched a video of the first presentation and then there was a conversation between the two audiences in Gaza and London via live video link. The International Performers Aid Trust provided £900 support for this second presentation. As a result of the presentations of the workshop production of War & Peace by Theatre for Everybody in Gaza many people, especially young people, approached the company asking to be involved in our project. We sent the £1000 raised through the SIMULTANEOUS event to Theatre for Everybody to work with a group of young creatives in Gaza. We called this work UNFORESEEN and we worked towards an event on January 24th 2016 when we presented the work and a video link-up between the audience in London with the young artists in Gaza. You can find out more about the young artists from Gaza and see their spoken word videos by visiting the Az Theatre blog.